The topic of concussion has been in the media quite frequently in the last several years. Top athletes, like Sidney Crosby, have definitely put concussion in the spotlight. Crosby was unable to return to his game for almost a whole year because of persistent symptoms related to concussion. 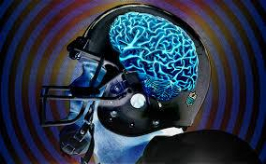 Furthermore, research has shown that 96% of deceased ex-NFL players have a form of brain damage called Chronic Traumatic Encephelaphathy (CTE), which may be related to repeated head traumas like concussions. This calls into question the safety of athletes involved in contact sports. In contact sports, there seems to be a higher incidence of these injuries. However, concussions do not just happen to the famous pro-athlete. They can happen to athletes playing at any level or any age. They can do more than take away playing time. Rowan Stringer, a high school rugby player, sadly made headlines in the media in 2013 after she lost her life to Second Impact Syndrome (SIS). This occurs when multiple concussions occur in rapid succession. SIS specifically affects the peadiatric and adolescent populations. 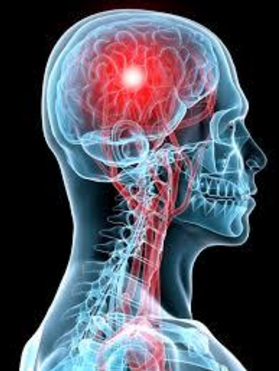 Concussions can also happen to anyone who is involved in an accident involving some form of head trauma. This includes falls and motor vehicle accidents. It is important to understand, that concussion is a serious injury. If not managed appropriately, it can lead to persistent symptoms. Concussion can prevent you from returning to your beloved sport and/or regular life activities including work and family. So, what exactly is concussion and why does it have such a major impact? The changes that happen with concussion happen at a deep cellular level of the brain. The injury starts with some form of trauma to the head, which creates stretching of the cells in the brain. These changes are microscopic and most often not picked up on imaging exams. As a result, concussion is often labelled as an invisible injury process. These chemical processes produce symptoms such as headache, nausea, dizziness and fogginess that are classic to concussion injuries. Another major hallmark symptom of concussion is fatigue. This feeling of persistent tiredness is due to the energy crisis in the brain that results from the initial cellular stretching. These symptoms can wreak havoc on a person’s life and take them out of their sport or work. Although the chemical reactions from the initial trauma take about 7 to 10 days to stabilize, the symptoms that are experienced by the patient can last for several weeks and months or even years. The lasting symptoms happen as a result of the changes that have been made to the different processing systems of the brain. These changes produce an inability to make sense of either the visual or vestibular information in our environment. This overwhelms the brain and further aggravates the symptoms. It is vitally important, that appropriate management strategies have to be in place to treat these symptoms in an effective and timely manner so that an individual can return to their life. How Do You Treat Concussion? So how do you treat concussion if it is an invisible injury? The mechanism may be invisible but the symptoms are definitely not. Therefore, it is important to do a thorough assessment. This helps to understand what the exact symptoms are and which brain systems are at fault. During the initial assessment, the patient will most likely be starting the appointment with a computerized test called imPACT, which is a heavily researched and validated neurocognitive test. This test looks at a variety of categories including verbal memory, visual memory, speed and reaction time. At completion it provides important information on a patient’s performance. The test can be repeated over time and it can be used to check if there has been any meaningful change in performance. Once the imPACT test is completed, the patient will be assessed by the physiotherapist. The Physiotherapist will go through a detailed history of the injury and symptoms to get an understanding of what the patient is going through and which brain systems are affected. The Physiotherapist will then go through a series of physical tests that test the visual and vestibular systems. The therapist will be looking at how the patient is performing on the test and what symptoms are produced with the tests. If there are any other injuries present, such as neck pain, the physiotherapist will assess these issues as well. With the information gained from the assessment, the therapist will start providing the appropriate treatment to start reducing the symptoms of concussion. The treatment provided will vary from person to person because each case of concussion is unique. Therefore, there cannot be a cookie-cutter approach to treating this complex injury. A large component of the initial treatment plan will involve education to rest and reset the brain and modify work/home/sport activities to allow for appropriate healing. On follow up visits, the therapist will prescribe specific exercises to start healing the affected systems in the brain. These exercises are important to be continued at home. Consistent and regular practice of these exercises will ensure improvement in the symptoms. It is important to understand that these exercises will produce some of the symptoms of concussion but they are meant to do so. It is in this manner, that the visual and/or vestibular systems are retrained. Once the exercises are mastered at one level, the physiotherapist will continue to progress them to be more and more challenging until the patient is able to perform them without any symptoms. It is through these progressions that the therapist will be able to help the patient return to work and/or play and just life in general. Concussion symptoms can be very debilitating and can go on for a long time. It is important to seek out a qualified Physiotherapist trained in concussion management as soon as possible so that these symptoms are not affecting a person’s quality of life and taking them away from the things that they love. At PhysioNow, we have highly trained Registered Physiotherapists ready to assess and treat Concussions. Call today to get started on your recovery!